Just found this photo. I’ve seen it before, but never the full photo. 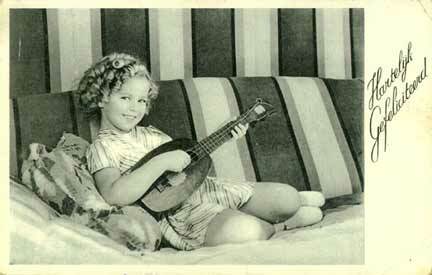 Shirley Temple with a Kamaka Pineapple ukulele. This entry was posted on December 20, 2011 at 3:20 pm and is filed under Photos. You can follow any responses to this entry through the RSS 2.0 feed. You can leave a response, or trackback from your own site.